Paul Harrison lives in Rotherham, South Yorkshire, where he runs a successful Transport & Haulage business. He is another of the sports second generation racers, being the son of the legendary Willie Harrison. In 2008, his son Bradley started following in the family footsteps by racing ministox. Paul raced the Ministox up until 1985 where he moved straight into the Formula One’s. Success didn’t come immediately for Paul, he hovered between the ‘Blue’ and ‘Yellow’ grades for his first few years, finally reaching Star Grade in 1988 (he has retained his ‘Red Roof’ ever since). He won his first Final in 1989 at Sheffield, and his first major Championship came in 1991 when he won the British at Buxton. In 2008 Paul won the semi final at Kings Lynn which meant a front row start in the World Final. Paul equalled his previous best ‘big race’ result with a well deserved second. 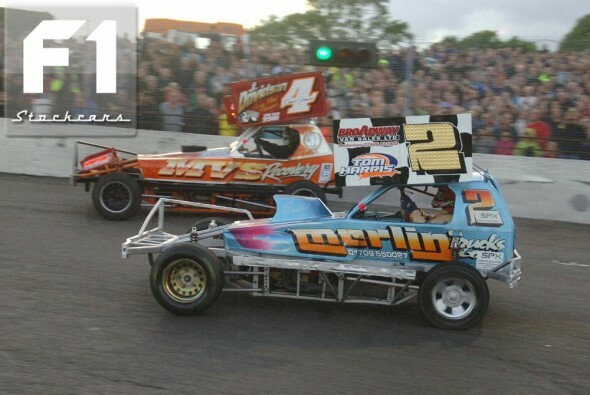 In 2011, after winning the prestigious British Championship at Kings Lynn (Report HERE), Paul went on to take his first World Championship, winning at Northampton (Report HERE).